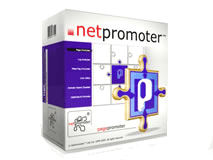 Page Promoter is an ultimate URL registration, search engine optimization and promotion tool for submitting Web sites to thousands search engines and directories as well as preliminary site optimization and effectiveness check. The software allows you to enhance sites` exposure on the Internet and draw maximum volume of targeted traffic. It contains a large and up-to-date submission database, which is updated on a regular basis. Features include Keyword Tracking and Ranking utilities, Page analyzer, Robots.txt and Meta tag Editors, Link Popularity and Popularity Analyzer modules, Emailed Reports and more. The Keyword Generator module is designed for querying the world search engine databases for the most used keyword queries used by Web surfers. This tool will allow you to get the top keywords and phrases from the major search engines at the click of a button. You can use these keywords for creating Meta tags to maximize traffic to your Web site. Visual Robots.txt Editor will help you specify different directives for the selected spiders in specific areas of the site and generate the robots.txt file quickly and easily. Page Analyzer will analyze a Web page by selected keywords. Once the submission is completed, the program will email your report to whoever you choose. The report will give detailed information on who you submitted to, when it was submitted and whether it was a successful submission or not. Ranking Utility tool will search the world engines via a keyword or phrase finding out just how and where your pages are ranked. Link Popularity is a module, which queries all major search engines and reports link popularity of your Web sites. Free program`s updates and upgrades unrestricted in time; unlimited number of Web sites to promote.